Ankara and Washington contravened the UN resolution on financing terrorism by failing to inform the Security Council about Islamic State illegally trafficking stolen oil, Russia’s UN envoy has said. “We’ve got serious complaints about the implementation of [UN] resolution (#2199, banning financing of the terrorist organization),” Vitaly Churkin told RIA Novosti news agency. “Under Resolution 2199, adopted on our initiative in February, countries are obliged to provide information (about financing terrorists) to the Security Council - if they have such information. That means the Americans had to provide such information, and of course Turkey, which should have reported any illegal [oil] trade going on there. They didn't do it,” Churkin said. "We've just been to the Pentagon and two several star generals were telling us about (US-led) coalition actions. I asked them a very simple question: you've been flying there for a year, we've been there for two months and already provided many photos showing that oil is smuggled through the Turkish border. Didn't you know about it? They must have known, and if they did, they should have reported it to the Security Council,” the Russian UN envoy told RIA Novosti in an interview. 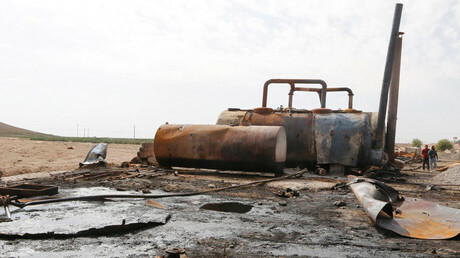 Vitaly Churkin has revealed that a new UN resolution on illegal oil trade is currently being prepared. “Together with the Americans, we’re drafting a new resolution tightening regulations on that kind of reporting. Possibly we could oblige the Secretary General to deliver regular reports on the issue, or it would be some sort of counter-terrorist agencies. 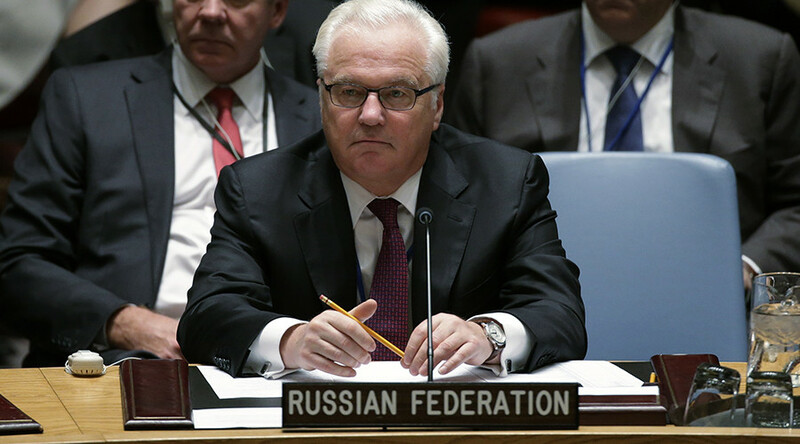 We hope to adopt this resolution on December 17,” Churkin said. Last week, the Russian Defense Ministry presented evidence of oil being transported by Islamic State (IS, formerly ISIS/ISIL) to Turkey. Washington said according to their intelligence, the quantity of oil being delivered to Turkey is insignificant, yet acknowledged that certain parts of the Turkish-Syrian border remain unsecured. Vitaly Churkin also believes the US-led coalition airstrikes on the Syrian Army more than a week ago may not have been an accident and could be repeated. Last week, the Syrian Army confirmed the strike on government troop positions by a Western coalition aircraft in the Deir ez-Zor area killed four and wounded 12 servicemen. "Naturally, there is the suspicion that it was not accidental, that despite all assurances given to the Syrian government that these strikes would not target the Syrian government's forces, the strikes could target government troops from time to time," Churkin told RIA Novosti.